"A few months ago, a message was seen circulating on the social media, urging Ndigbo to promote the Igbo service of the British Broadcasting Corporation, BBC-Igbo, obviously because of the poor patronage it has experienced. However, the low patronage which the BBC-Igbo is experiencing, is well-deserved. The Igbos boycotted the service because they perfectly understand that it is not in their genuine interest." For your information, BBC Igbo service was launched several months ago, roundabout the first quarter of the year and so it isn't a new development. Firstly, no one begged or is begging the BBC to run the Igbo service, so it's only running its business as usual and certainly not genuinely for the benefit of Ndigbo. Secondly, do you know that BBC Hausa service had been in existence for several decades? Why didn't the BBC launch the Igbo service all along? Instead, it waited till it realized that Ndigbo are now more than ever serious with their clamour for Biafra before it came up with this Greek gift cloaked in BBC Igbo service. Thirdly, are you aware that BBC Hausa is domiciled in the north (Hausa area), BBC Yoruba domiciled in the west (Yoruba area)? So why did the British Broadcasting Corporation situate the BBC-Igbo yet in the western region (Yoruba speaking region) instead of the East (Igbo heartland or other parts of Biafraland)? It's only the gullible ones that will fail to see clearly, the continued evil machinations of the British mouthpiece (the BBC). 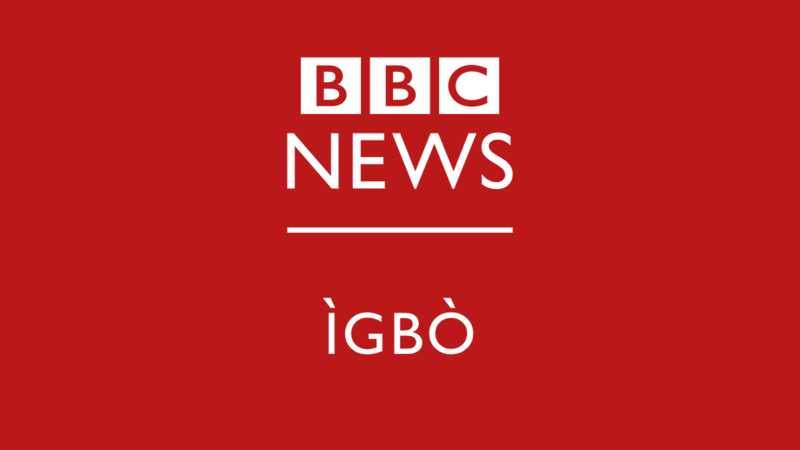 The BBC is well aware that the decision to establish BBC Igbo has a malicious intent and so it chose to establish it outside the Igbo heartland because it believes there could be a possibility of an uproar or reprisal by angry Igbo or other Biafran youths, when it generates and dishes out its characteristic false and anti-Igbo propaganda. Fourthly, are we now to be promoting the British mouthpiece with our own resources simply because out of the blues, it pretends to promote the Igbo language when with our ingenuity, finesse and dynamism, we can establish ours, fund and support it to become an unparalleled, world-class media outfit? For your information, Radio Biafra London and Biafra TV has been running and expanding for several years now and certainly, doing a marvellous job as the mouthpiece of the Igbos and the entire Biafran populace. The most honourable thing to do will be to fund and support our own, instead of promoting a heavily biased colonial media edifice with a track record of hatred for Ndigbo and which has long been an effective tool for Igbo subjugation, simply because they pretentiously claim to promote the Igbo language. For your information, the BBC can be viciously smart. They understand how patriotic the Igbo man can be when it comes to anything Igbo, how Ndigbo are ready to support or promote anything that possesses an Igbo theme. They're also aware of the amount of popularity that Radio Biafra London has gained in the past few years, especially when it was being anchored by the Biafran leader, Nnamdi Kanu, when on multiple occasions, it trended as the most popular or the most listened-to Radio Station in the world, because majority of Biafrans and other well-meaning people around the world listened to and supported it as it's our own. Even search engines such as Google had "Radio Biafra" as one of the most-searched terms. Therefore, the BBC is at its gimmicks once again, trying to capitalize on the sentimentality of Ndigbo to generate cyber traffic for the heavily biased British mouthpiece. Even the good people of Britain are not left out in the knowledge that the British state media - the BBC, is heavily biased and therefore lacks credibility. As a result, a good majority of the British people recently stormed the cyberspace, to protest the state media's bias, fake, unbalanced reportage and distortion of facts with the hashtag #BbcSwitchOff. In conclusion, it would be a cause for concern and a failure on the part of Ndigbo to rely on the notorious and heavily biased BBC to promote the Igbo language for Ndigbo. If the BBC is so genuinely concerned about the well-being of Ndigbo, why did it not establish BBC Igbo in Igbo heartland or other parts of Biafraland? Also, recall that it was the BBC that generated and promoted the malicious and vindictive drug abuse propaganda that eventually resulted in the unfair shutdown of an Igbo business establishment – Emzor pharmaceuticals company. The USA has VOA and other media outfits as its own mouthpiece, Arab nations have Aljazeera as their mouthpiece, the French have France24, the Chinese have CCTVNews and so do so many others. Therefore, why should Ndigbo rely on the BBC to be their mouthpiece when they are more than capable to establish and run a powerful and matchless media infrastructure? Have we now become so incapacitated that we rely on the same tool of our misery and destruction to speak for us? 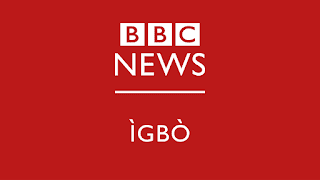 We sincerely thank the BBC for its kindness and for offering to help promote the Igbo language. However, if the BBC is so kind, it should concern itself with teaching Ndigbo “how to fish” instead of just giving us fish. What Ndigbo want is an independent Biafran nation and not some ‘language-promotion service’ by BBC Igbo service. Radio Biafra and Biafra TV is ours and is already doing a great job, we can make them more powerful and so won't need someone else to tell our stories for us. Oh please shut it. How can you sit down and write all of this and be very satisfied with yourself? Who hurt you in life and left you full of all this bias? Stop brainwashing the people whom you will still desert should any serious issues arise. It's so unfair.